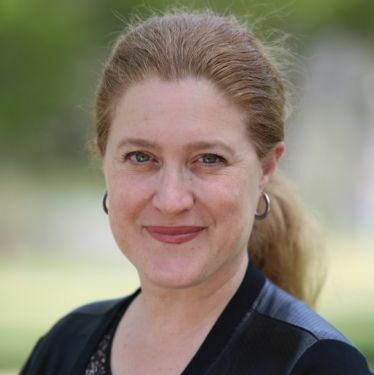 RIVERSIDE, Calif. (www.ucr.edu) – Erith Jaffe-Berg, chair of the theatre, film and digital production department, will present an original play called “Sea Seed” on Feb. 16 at the Barbara and Art Culver Center of the Arts. The play was developed by members of the theater group the Son of Semele Ensemble and Jaffe-Berg, and inspired by Moving Matters Traveling Workshop (MMTW), an arts collective that has developed exhibitions, performances and participatory artworks. Sponsored by the Center of Ideas and Society, the event is free and open to the public. The play begins at 8 p.m. at 3834 Main St., Riverside. “‘Sea Seed’ explores the topic of repeated migration, or serial migration, and the experiences of those who have lived in several countries throughout their lives,” explained Jaffe-Berg. The concept of serial migration was developed by Susan Ossman, an anthropology professor at UC Riverside, in her book, “Moving Matters: Paths of Serial Migration.” Ossman describes a serial migrant as one who travels between three or more countries, living in different languages and experiencing repeated patterns of movement and migration. The concept and book also sparked the creation of MMTW in Riverside in 2013.